Cook a batch of sushi rice in your rice cooker. Combine 1 cup (190-285 g) of sushi rice and of water in your rice cooker. Stir the ingredients until they’re thoroughly mixed, then close the lid and hit the start ****on. It should only take about 15-20 minutes for your rice to finish cooking. Cut your filling ingredients into small pieces. Slice veggies like cucumber, avocado, and daikon sprouts into thin slivers to make sure they’ll fit in your roll comfortably. 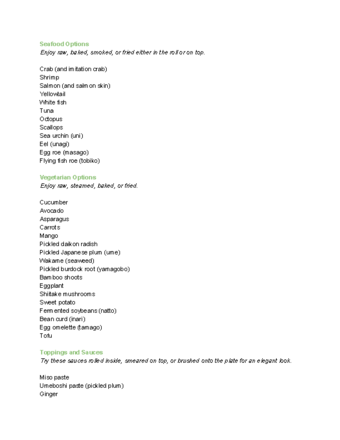 If you want to incorporate fresh fish, shrimp, eel, or any other type of seafood, you can either cut it into strips or opt for a finer chop, dice, or mince. 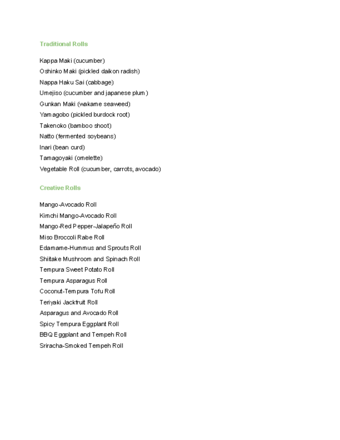 You'll only need about of veggies or fish (or both) to fill your sushi roll. 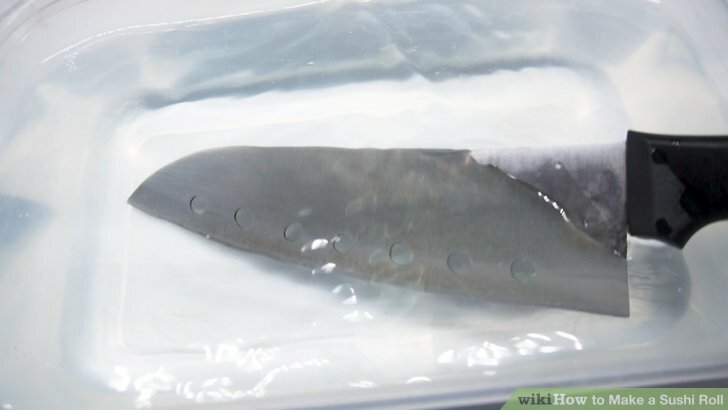 Spread a thin layer of sushi rice onto the sheet of nori. 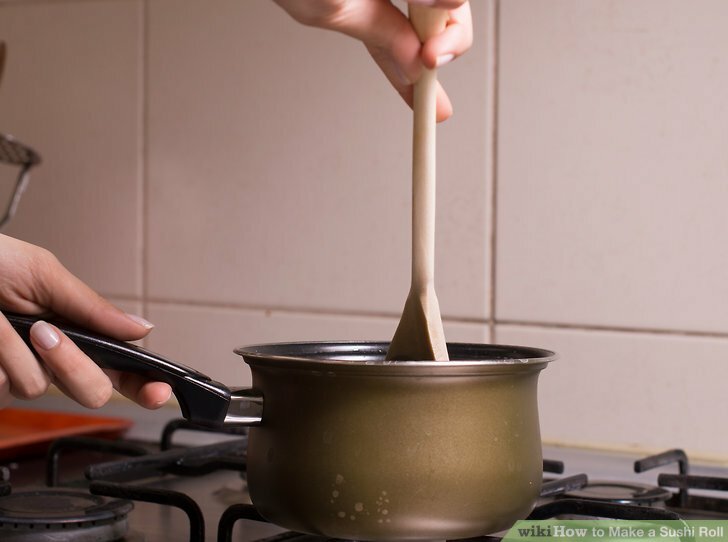 Grab ¾-1 cup (140-190 g) of rice and place it in the center of the sheet. Pat the rice down gently with the flat of your fingers until it’s evenly distributed over the surface of the nori. 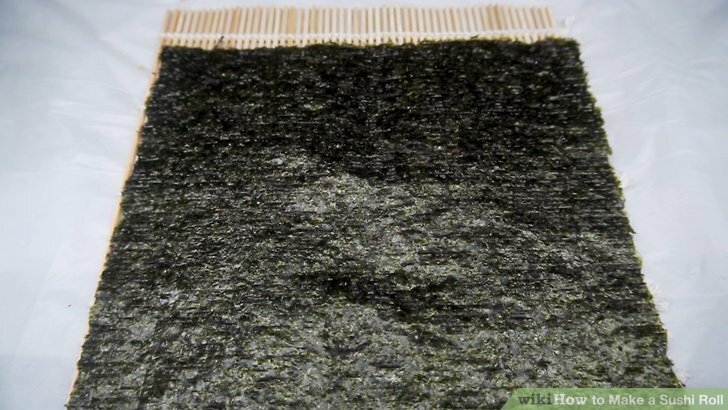 Leave about of empty space at the top of the nori—this will allow it to close once it’s been rolled. 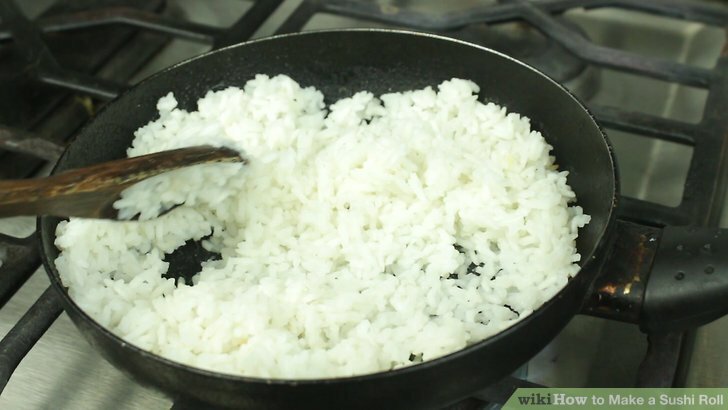 Add roughly of filling ingredients to the rice. Take about 1/3 of a cup of sliced veggies, fish, and other ingredients of choice and arrange them in a line in the depression you made along the lower part of the rice. Again, avoid overfilling your roll, as this could cause it to rupture or make it hard to close. Cut your roll into pieces. For standard hosomaki rolls, each piece should be about wide. Chumaki rolls can be slightly bigger at around , while futomaki (the largest type of hand-rolled sushi) pieces may be up to wide. Be patient and do your best. Rolling sushi is an art that requires an enormous amount of s**** and grace, and it may take many tries before you begin to get a feel for it.